Thank you for being part of the Bishop Moore community. You are the hero of our story! Join the legacy. Support Catholic education today! We appreciate your gift. Without you, we could not provide the exceptional education our school is known for. Thank you for your confidence and generosity. Annual giving is the financial lifeblood of our school. It sustains programs and activities not covered by tuition. Every year we solicit pledges from families, friends, and alumni. All gifts are tax deductible to the fullest extent of the law and may be made by check, credit, or stock transfer. Bishop Moore's convenient monthly giving option, 834 Club, provides automatic donations of $8.34 or more via credit/debit card. At the end of each calendar year, we’ll send you a tax receipt outlining all of your contributions for the year. Giving $8.34 per month adds up to $100 per year! Attend our Legacy Series of seminars presented by legal and financial professionals at Bishop Moore to learn how you can make a lasting impact on Catholic education. 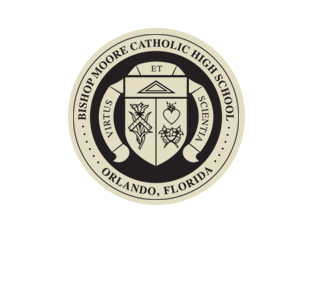 The Maureen J. Kane Guardian Angel Fund provides tuition assistance to Catholic students at Bishop Moore. Please clearly mark any donations to this fund as "Guardian Angel," and include your name and address in your correspondence. Our office oversees a growing number of endowment funds established to provide financial assistance to students who wish to attend BMC. In most instances, the individuals who established these funds outlined specific criteria for disbursing the annual interest earnings on them. If you are interested in establishing an endowment fund, please contact Marvin Snyder, our director of advancement. Join us Wednesday mornings from 8:00–9:00 a.m. in the school chapel (in Mary Martha Hall, behind the large mural) to pray for our students, faculty, and staff. We invite all mothers of BMC students to join us as your schedule allows. You don’t need any prior Bible study or prayer experience; just a willingness to meet with other moms and pray together for our children. Moms in Prayer is an international, nondenominational prayer ministry, though at Bishop Moore it has a more Catholic feel. If you have questions about our meetings, please contact Hiedy Puig at (407) 460-4143. All visitors must check-in at our front office and receive a specially designated tag when on campus. All volunteers at BMC must complete a background check with fingerprinting before serving in our school. Please visit our Diocese website for additional information. Please view instructions on fingerprinting process. If you have any questions, please contact Darlene Tessier. We use the information you provide in our online giving form to process and document your contribution; we do not store your financial information in our records. 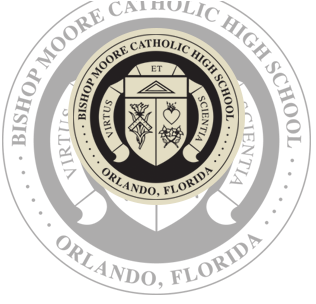 If you have additional questions regarding your financial support of Bishop Moore, please contact Jeany Vasquez at (407) 293-7561 x226. 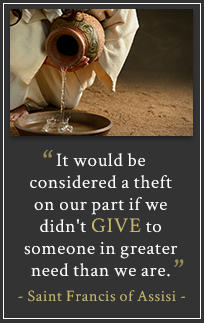 Use our secure online network for your credit or debit card giving. You can even sign up for automatic payments!